In December 2015 Leman Solicitors hosted the Future of Law event for 100 corporate counsel. We spoke about IBM's Watson which is being used to build A.I. applications in several sectors, notably ROSS in law. It's part of a disruption that we say is going to fundamentally change the way legal services are delivered. Another article in today's Business Insider UK reports: "Ask ROSS to look up an obscure court ruling from 13 years ago, and ROSS will not only search for the case in an instant — without contest or complaint — but it'll offer opinions in plain language about the old ruling's relevance to the case at hand." The article can be found here. I'll come back to it a little later. For those who are skeptical about the extent of the future impact of A.I. on all service industries you need look no further than what leaders in the financial services sector are doing now. These leaders have access to resources which enable them to research and predict the future in ways that even the largest law firms cannot. And financial services leaders are backing A.I. to deliver their services. As this article in the irish Times confirms: "Wall Street banks and investment firms are increasingly building or buying robo- advisers to add business while cutting costs. UBS has shifted its business model in recent years to focus more on wealth management, which is typically more stable than businesses like trading." There is nothing new here about A.I. in financial services. I recently spoke to the guests at the Sunday Business Post's Future of Banking seminar on regulating disruptive innovation. I spoke about robo- advisors giving portfolio management online with minimal human intervention. They can handle virtually every aspect of investing: asset allocation; rebalancing; dividend reinvestment; tax loss harvesting. They’re not very flexible but they are very easy to use. Some of the innovators in this area include Betterment which helps investors choose share types or bonds. It then allocates the investments across several low cost ETFs. WiseBanyan is very interesting because it's free to use. The founders think that asset allocation is a commodity that they can offer at no charge while making money by selling add-ons for example tax loss harvesting. Some regulators are active in assisting this disruption. The Financial Conduct Authority introduced ‘Project Innovate’ to help innovative start-ups. They’ve also introduced the ‘Regulatory Sandbox’. It allows innovators test new products and services without worrying about regulatory consequences. They allow younger Fintech and Regtech start- ups to bypass the complex business and finance license application process, saving them time and money. They also allow start-ups to test products and services in real time and with real users. Buoyed by its Sandbox success the FCA is giving strong support to the A.I. robo-advisory market. They’ve identified a gap in the advice market. Two-thirds of financial products sold in the UK in 2015 were sold without any financial advice. And 34% of people who had bought a financial product without advice later regretted the decision. Investment firms have traditionally focussed on higher net-worth customers because giving face-to-face advice is expensive. So it’s been hard for those on lower incomes to get advice or even consider the option because these products are not marketed to them. A.I. is lowering the cost of providing advice by reducing or removing human advisors. That allows investment firms to offer advisory services to new demographics. And as we can see in the reported case of UBS, to existing traditional high net worth clients too. RBS recently announced it will lay off 220 face-to-face advisors and replace them with an automated system. The system will offer customers financial advice based on their responses to a series of questions. This system will enable the bank to offer advice to consumers with as little as £500 to invest. UBS is leveraging A.I. technology developed by SigFig in San Francisco. That technology automates many of the investment portfolio management functions, giving advisers more time to discuss strategies with customers. There is no doubt that A.I. is similarly going to change the way legal services are going to be delivered. The low value high costs processing work traditionally undertaken by trainee and junior lawyers will be eventually consumed by A.I. This will see an erosion of the base of the traditional pyramid law firm model leaving those expert lawyers at the top to provide trusted strategic expert advice. Legal futurists make compelling arguments that as a consequence of the impact of A.I. 40% of legal jobs will be redundant in 5 years. Which brings me back to the Business Insider article. It confirms that ROSS was just unveiledas a "new hire" at the US law firm Baker & Hostetler, which handles bankruptcy cases. Several other US firms have signed licenses to employ ROSS' services, and their announcements will be made in the coming weeks. A.I. is here. Leman Solicitors has invested heavily in disruptive innovative technology to enhance the client experience. We work with leaders in technology to ensure that for us at least innovation is simply business as usual. 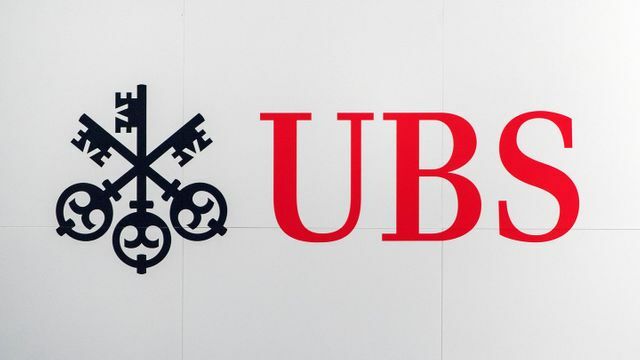 Financial services firm UBS is the latest to turn to so-called robo-advisers to help its wealthy clients in the United States.